The women of Brazilian Jiu Jitsu are known to create a community of encouragement for one another. Beth Thrasher of Jackson, Mississippi a purple belt under Joe Savion has taken it a step further. 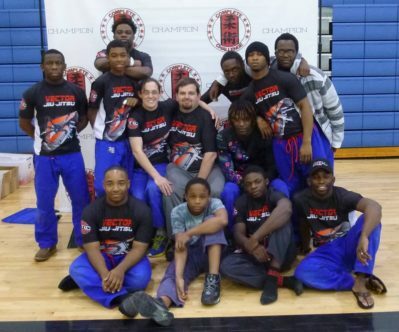 Wingfield High School is home to Vector Jiu Jitsu, the passion project of Beth and her brown belt husband Chris. This free martial art program is truly a project based learning environment, according to Thrasher. “Kids train year-round after school; perform community service and travel to competitions together. Many students have even begun to plan and execute activities (hosted tournaments and camps).” The students that participate in Vector are held to a high standard of character and achievement. Students are not only accountable to themselves, but to their mentors at Vector, who keep in constant contact with teachers and parents. Climbing the ranks in Jiu Jitsu is no easy task. Not only must they know the foundations and basic of BJJ, but also “embody the program motto: KNOW YOURSELF, BETTER YOURSELF & HELP OTHERS.” Belt rank is awarded by black belt Joe Savoian who, according to Thrasher, was “drawn to our program after finding out about us through his friend Kris Shaw, owner of BJJ Legends Magazine. 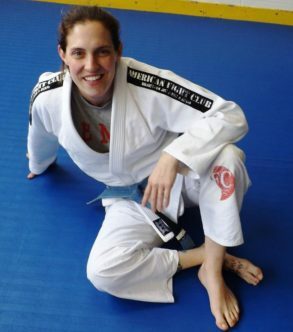 BJJ is not just a way for Beth to give back, but was also a beginning after a car wreck crippled her leg in 2001. A former collegiate multi-sport athlete, she caught an all day marathon of The Ultimate Fighter while in Buffalo at medical school, and was hooked on the finer aspects of grappling. She immediately found a gym that taught BJJ. 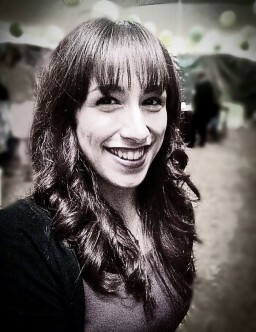 She describes herself as being “so happy to have found an athletic endeavor that could still provide an intense workout despite my new disability. But I NEVER anticipated the immense emotional and intellectual benefits that followed being bitten by the BJJ bug”. 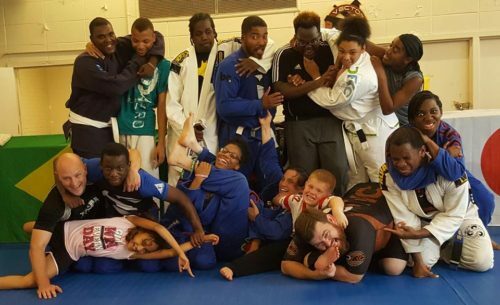 Jiu Jitsu has become an outlet for many people who struggle with depression, including Beth. 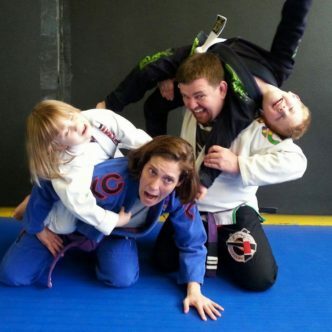 “When on the mat worrying about getting choked, or a limb broken, it helps to drown out the “noise” of daily life that once confounded me.” Her husband, Chris, is also a great non-verbal, and emotional support system for her.